Media giant ABS-CBN again earned the approval of the academic community, winning TV Station of the Year and Best Radio Station (AM) for DZMM Radyo Patrol for the third straight year and 19 other awards for its various shows, movies, content, and personalities at the third Guild of Educators, Mentors, and Students (GEMS) Hiyas ng Sining Awards. In the news and current affairs category, Anthony Taberna won Best Male News Program Anchor for Umagang Kay Ganda while Boy Abunda won Best TV Program Host for The Bottomline. For entertainment, top-rating primetime show FPJ’s Ang Probinsyano led all Kapamilya winners as it won Best TV Series while ASAP Natin ‘To took home the award for Best TV Program and Ipaglaban Mo won Best TV Program (Drama). ABS-CBN actors also dominated the TV category, earning recognition for their performance in dramatic roles. Jericho Rosales won Best Actor (TV Series) for Halik, while Julia Barretto won Best Actress (TV Series) for Ngayon at Kailanman. 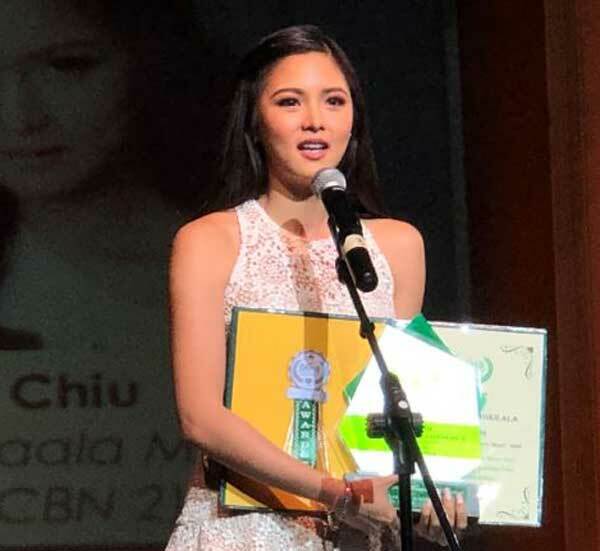 Kim Chiu won Best Actress (Single Performance) for her performance in Maalaala Mo Kaya episode Mata, while Joross Gamboa won Best Actor (Single Performance) for Maalaala Mo Kaya episode Alkansya. Iza Calzado won Best Performance in a Supporting Role (Female) for Ngayon at Kailanman while Jhong Hilario nabbed the same award for the male category for his performance in FPJ’s Ang Probinsyano. In the film category, Cinema One Originals production MAMU: And a Mother Too won Natatanging Pelikulang Pangkasarian while lead actors Iya Minah and Arron Villaflor won Best Actor and Best Supporting Actor, respectively. Veteran actor Eddie Garcia, who last appeared on TV on FPJ’s Ang Probinsyano, was also honored with the Natatanging Hiyas ng Sining sa Pinilakang Tabing for his extensive body of work while newcomer Xia Vigor took the BATA (Bibo, Aktibo, Talentadong Anak ng Sining) award. Completing the winners from ABS-CBN are DJ Chacha of MOR 101.9, who won Best Female Radio DJ, DZMM anchor Maresciel Yao, who received the Best Female Radio Broadcaster award for Usapang de Campanilla, and Star Studio, which took home Best Magazine. The Hiyas ng Sining is given by GEMS, an organization composed of teachers, academic professionals, and students from prestigious academic institutions in the Philippines. It aims to recognize excellent projects and personalities in the field of television, film, radio, literature, and theater.